John has been the CEO of several early stage companies including two in which he had a founder’s role. His prior experience includes a six-year period with McKinsey & Company, Inc. As an “angel investor” he has invested in over fifty of such companies, more than thirty of which are still active. He is also one of the founders of the Tech Coast Angels and remains active in that organization. John has a BSIE from Stanford University, and a MBA from Harvard Graduate School of Business. Fred has invested in over 25 early stage companies, served on numerous Boards of Directors, and is a past President of TCA Orange County. Prior to Tech Coast Angels, Fred was Chief Operating Officer for Intershop Communications, an early participant in the ecommerce application space. Intershop became a public company in 1998 achieving a multibillion dollar market cap. Before joining Intershop, Fred was Senior Vice President of Sales at FileNet. He graduated from Lehigh University with a BS in Mechanical Engineering and Accounting. Hans has BS in Electrical Engineering from University of Zurich. 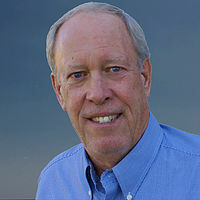 In 1972 he started EPE Technologies in Costa Mesa, a manufacturing firm which built power protection equipment for computers. The company grew from 2 to 550 employees and $65 million in sales. He sold the company in 1992 to Merlin Gerin. Since then he has been involved in startup of eight different companies and has sold six of them successfully. As a member of Tech Coast Angels since 2008 he has invested in 43 startup companies. At the present time, he is on the board of six companies. Hans also holds two patents. Don is the former CEO of Questcor, a specialty pharmaceutical company sold to Mallinckrodt in 2014 for $5.8 billion. He is now on the board of MNK and Chairman of its Portfolio Committee. While CEO, the stock of QCOR increased over 22,000% as sales increased from $10 million to $1 billion annually. Prior to QCOR, Mr. Bailey served as Chairman of the Board and CEO of Comarco, and has served as an advisor, board member and investor in a number of start-ups. Mr. Bailey is a board member of Biotie Therapeutics which just did an IPO in the US. He has also served as a board member on several non-profit and academic enterprises. He earned a B.S.M.E. from Drexel University, an M.S.O.R. from USC and an MBA from Pepperdine. James is Chairman of Mark IV Capital, Inc., a private commercial real estate development and investment company that was founded in 1974. Mark IV Capital acquires, invests in, develops and manages commercial real estate projects. He is also a founder and manager of Emerald Bay Ventures, LLC., a private investment company. Mr. Slavik is a director of W.W. Grainger and a member of the Board Affairs and Nominating Committee and the Compensation Committee. 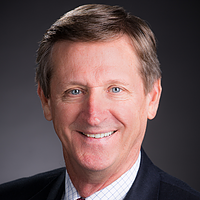 He also serves as a director of the Hoag Hospital Foundation. Steve is the President of Aristotle Capital Management, LLC, a Los Angeles and Newport Beach based investment advisory firm that oversees value oriented equity portfolios for institutions and individuals worldwide. Prior to co-founding Aristotle Capital, Steve also co-founded and was Managing Partner at Metropolitan West Capital Management, LLC for 13 years. Previously, he was Managing Director at Palley-Needelman Asset Management, Inc. Steve earned his Bachelor of Arts degree from University of California, Irvine and his MBA from Pepperdine University. He serves on the Investment Committee for the Blind Childrens Center in Los Angeles, the Board of Directors of the Orange County Youth Sports Foundation, the Big Brothers Big Sisters of Orange County as well as serving UC Irvine in a number of capacities. Philip was Chairman & CEO of Hillman Ventures; throughout the 60's, 70's, the Hillman family was a true pioneer in the field of Private Equity (PE), initiating investments in the original Kleiner and Perkins, Kohlberg, Kravis and Roberts, T.A. Associates, among others. Phil also managed Hillman's direct investment activitie and helped start Axcelis Technologies, Century Data Systems, Cholestech, Cytel, Genus,Genentech Hybritech, Machine Intelligence Corp (out of which Symantec was founded), and many others. Phil founded 3 PE firms: Paul Capital Partners in 1990, acquiring 42 LP interests in VC and Buyout funds from the Hillman family, his former employer. Phil also founded the Top Tier fund, with the Government of Singapore (GIC); today that firm manages more that $5 Billion, funding funds and co-investing in the Venture market. Phil holds a B.A. from Stanford, a Law Degree from Southwestern University, and a Certificate in International Law from the Parker School at Columbia University.